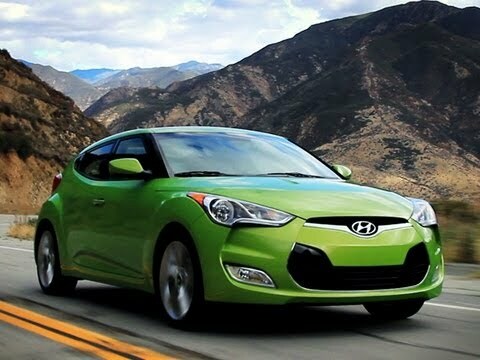 The 2013 Hyundai Veloster is a sporty hatchback that's high on style and features but low in cost to buy and operate. Even the potent turbocharged version delivers good fuel economy, making the Veloster an appealing choice for those seeking a fun and stylish car that won't break the bank. Hyundai Veloster won my heart! My Hyundai Veloster was a replacement for my beloved Toyota Celica. I chose the automatic transmission even though I really prefer manual. This has made it an easier car to manipulate on longer trips. Mileage is good. Only problem I have had is with one of the low profile tires setting off the tire sensor. Replaced the tire and the problem disappeared. Design wise it is very attractive. The exterior black and interior gray is very attractive. The 3 door design is unusual, but with only 2 riders, the back seat really gets used. I love the rear camera display for backing up. I bought this car for my dog. I really enjoyed my Veloster. Surprisingly spacious! Although it is a four seater… it is a very roomy cabin as well. I have completed many idea trips in this tiny little roller skate without issue. Getting my nieces and nephews car seats in and out of the car is not difficult either. I feel like it would be a good car for a small family of four. I currently do not have any children but I have a dog who absolutely loves the little window that rolls down in the third door. It is perfect height for her to stick her head out and do dog things. Good for cities, small spaces, and commuting. The things we like best about our veloster are its really great mileage, the third door (for getting friends and gear in easily), how small and maneuverable it is (makes parallel parking even in tight spaces work), and how flexible the space inside is. The downsides are that it can be expensive to get parts and tires, taller people can have issues with the back seat ceiling being too low, and not so great visibility out of the back. It is a great car for city and commuter driving, and good for our monthly budget.